For hearty, comfort French food, head to the 36-seat Summer Hill bistro in Sunset Way, which will open in the middle of this month. It is run by chef-owner Anthony Yeoh, formerly of the now-defunct Cocotte at Wanderlust Hotel. The small menu focuses on signatures such as his poulet roti (French-style roast chicken, $25 for half, $45 for whole, with two sides and gravy), as well as tartes du jour (tarts of the day) - one savoury and the other sweet. Head chef Christopher Soh - Cocotte's former sous chef and previous head chef of the defunct Bird Bird - will also offer regular specials. Summer Hill also offers a private meal service (delivery or self-collection is available). Roast chicken sets ($25 to $30, above), for example, are available, and include gravy, sides and condiments. For more premium sets which come with wagyu, prices go up to $90 a person. The hassle-free service is designed to be delivered earlier and hosts just have to add finishing touches and have their meals ready in an hour or less. 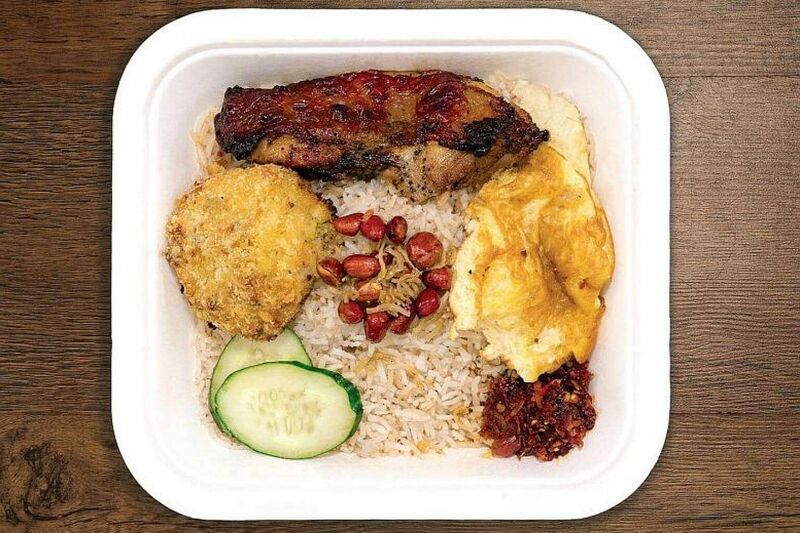 Better known as The Nasi Lemak Stall At The Sail, Sambal Time aims to provide a healthier version of nasi lemak without the excessive oil and trans fat. As its name also suggests, the eatery places great emphasis on its sambal chilli, which comes in a variety of flavours. Founder and head chef Vyn Chong believes that, with the right ingredients and cooking methods, what are normally regarded as unhealthy meals can be made healthier. Sambal Time uses a blend of low glycemic index white rice and brown basmati grains and sunflower oil - and nothing is deep-fried. The food is mainly grilled, air-fried and pan-fried. There are nine sambal chillies, made from scratch using a variety of spices each day. Its lunch boxes include Simply Nasi Lemak ($3.50 regular with one piece omelette/$4.50 upsize) and the Grilled Chicken version ($6/$8, above). Other sides and extra servings include green curry mushrooms ($1.50), Basmati rice ($1.50/$2), small anchovies (50 cents), sambal (50 cents/80 cents) and peanuts (20 cents). 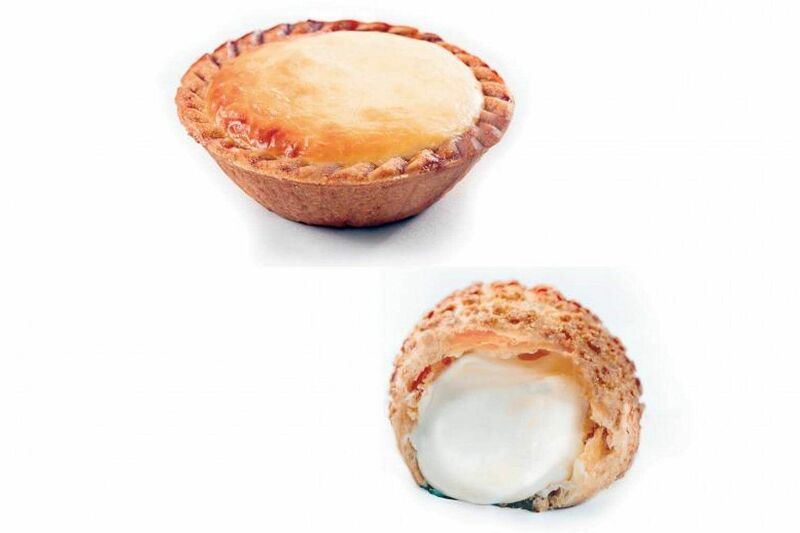 Taiwanese bakery Kazo has opened its first Singapore outlet at Chinatown Point outlet, selling parent-brand Nichifu's popular Kazu Kazu ($3.50), a long, crunchy crust filled with Hokkaido cream or chocolate filling, cream puffs, polo buns and other snacks. Every ingredient Kazo uses is flown in from Taiwan regularly. The Danish Polo ($2.50 - $5.50) is available in original, salted egg, Hokkaido cream and ice-cream flavours. The best-selling Cream Puff ($1.50, above right), with its signature crispy texture coupled with a soft and tender inside, comes with Hokkaido Cream or Chocolate fillings. Kazo's Cheese Tart ($3.20, above left) comes with a crumbly crust and a hearty dollop of cheese filling. Besides snacks, Kazo has also introduced Kazo Man - a choice of either matcha latte or organic soya bean drink served in a quirky, collectable bottle. The drinks are available for only a limited period. Alishan Cold Brewed Tea, made from Taiwan's famous Alishan oolong tea leaves, is available daily.